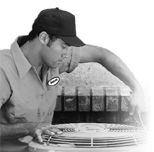 Our experienced staff installs, replaces and maintains all known brands of air conditioning equipment. Picon Design can satisfy any air conditioning and heating needs demanded by today's business. Our engineering staff welcomes the opportunity for a no-obligation on-site consultation. Picon Design designs and installs a wide variety of commercial HVAC systems with special emphasis on computer rooms, offices, restaurants and retail stores. An HVAC system that is properly maintained will provide many years of service for any company. Proper maintenance comes only from regular service checks that keep the equipment at peak performance. As part of Picon Design ongoing maintenance program, an experienced service representative will customize a service plan for your particular needs. Our planned service agreement, will include as many preventive maintenance inspections as your business requires, as well as automatic seasonal changeover of your HVAC system, which will result in the best performance from your equipment and the best value for your service dollar. Our company's large team of service professionals and fleet of service vehicles reduce our response time to all service calls. With 24-hour, seven-day-a-week service our technicians can be dispatched promptly to any location. Our day and night, on call service minimizes costly downtime to your business due to air conditioning system failure. We take pride in fixing it fast and fixing it right. In data processing centers and computer rooms, where constant temperature and humidity are absolutely critical, Picon Design delivers state of the art, full service capability to meet those demanding needs. Our service technicians are kept abreast of the latest technological advances in the industry by regularly attending factory seminars to receive hands-on instruction on the latest equipment and systems.